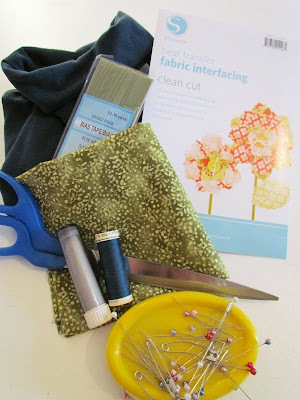 So, because I'm being a lazy beach bum we're going to make something that's super duper easy, but is super duper useful, and not to mention...super duper pretty. It's actually a very nice teal colour. 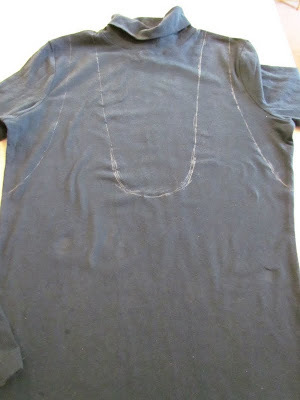 4) Turn your top inside out, pin along the bottom and stitch closed. 5) Turn back to right sides out. 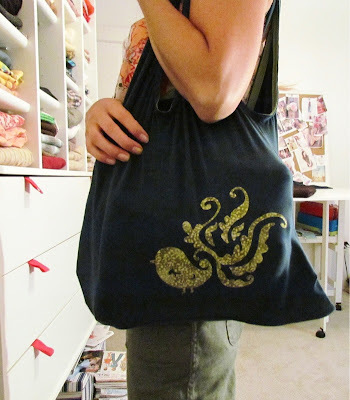 Now, you could just leave it at that and have a cute little tote bag, but as most of you know, raw edges drive me crazy. So I have to finish mine off. Plus, by adding some bias tape to your edges you'll reinforce everything and the straps won't stretch out to Timbuktu. 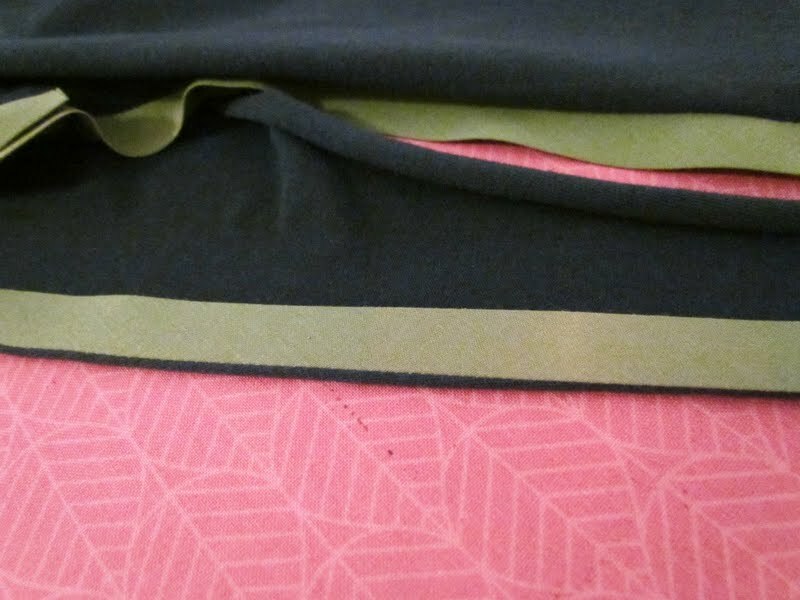 Note: Normally you want your bias tape to match your fabric and blend in. 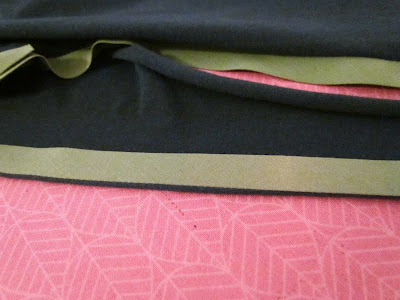 My fabric store didn't have dark teal blue tape though so I got a contrasting colour that will match something fun I'm going to add after. 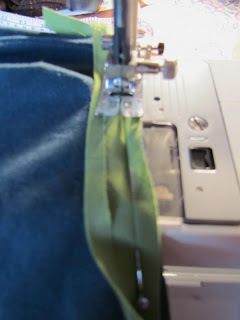 6) Stitch right in the little ditch of the bias tape, making sure to overlap your ends. 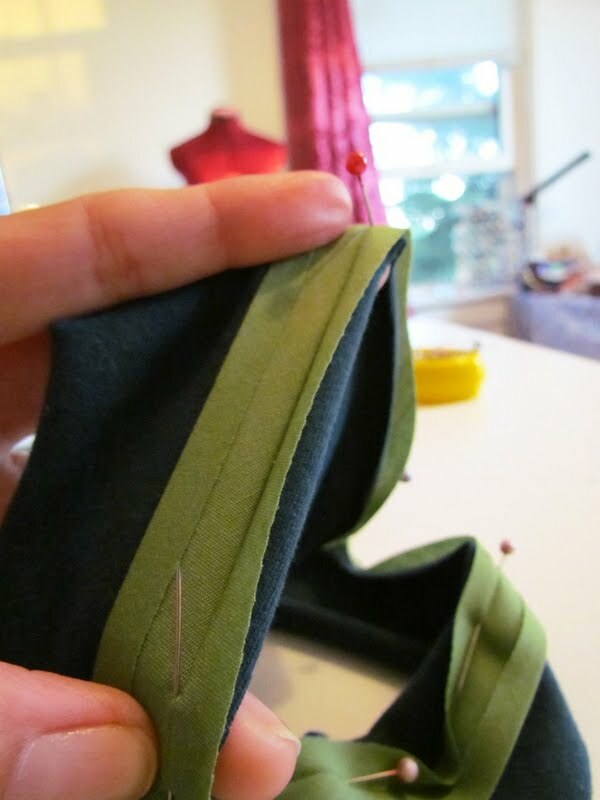 7) Repeat this step on all of your raw edges. 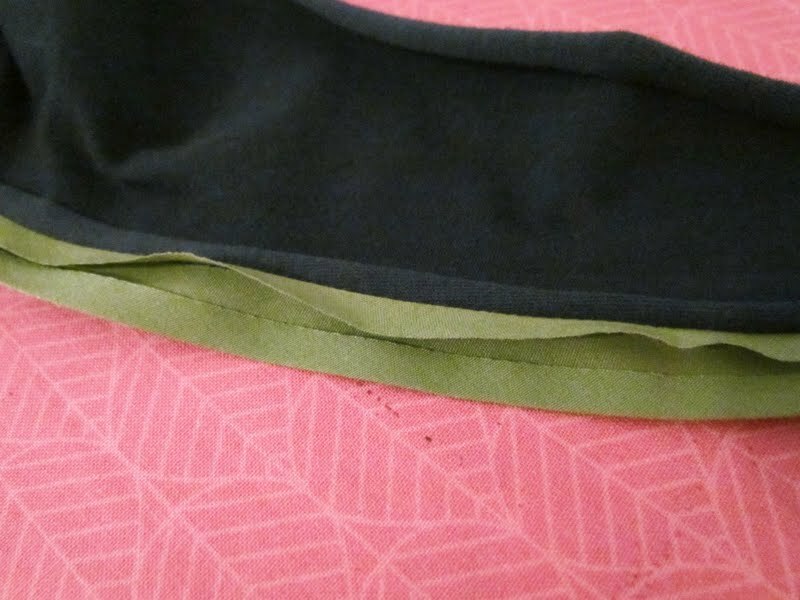 8) This is what your edge will look like with the bias tape on it. Now just fold it to the inside. It should just naturally roll nicely. Give it a good pressing. Pin it down if you have to, and then stitch about a 3/8" hem to secure the tape down. So, now again, you could call it a day and be done, but I think it's a little boring so far. 8) So, I got adventurous with my silhouette machine and made this cute little iron on transfer. I love how it turned out! I think it'll be great for picking up groceries or taking to the beach. 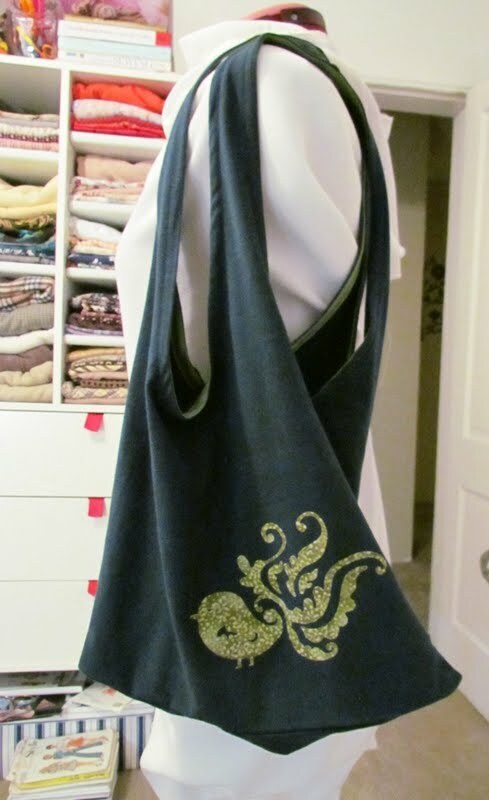 If you have some cool T-shirts with great designs already on them you could make some awesome looking bags. What do you think? How would you personalize it? I'll be linking up at the usual parties throughout the week. Make sure to check out the party page up top to find out where I hang out. If you're new here, make sure to check out the "Follow my Friends" tab up top too. If you're a follower and you have a blog you can link up your button for a chance at a free feature. I'll come visit and so will lots of other Etcetorizers. Thank you for the shout out!! You are to sweet. Your bag looks great. Oh my gosh! That little birdie just makes the bag!! 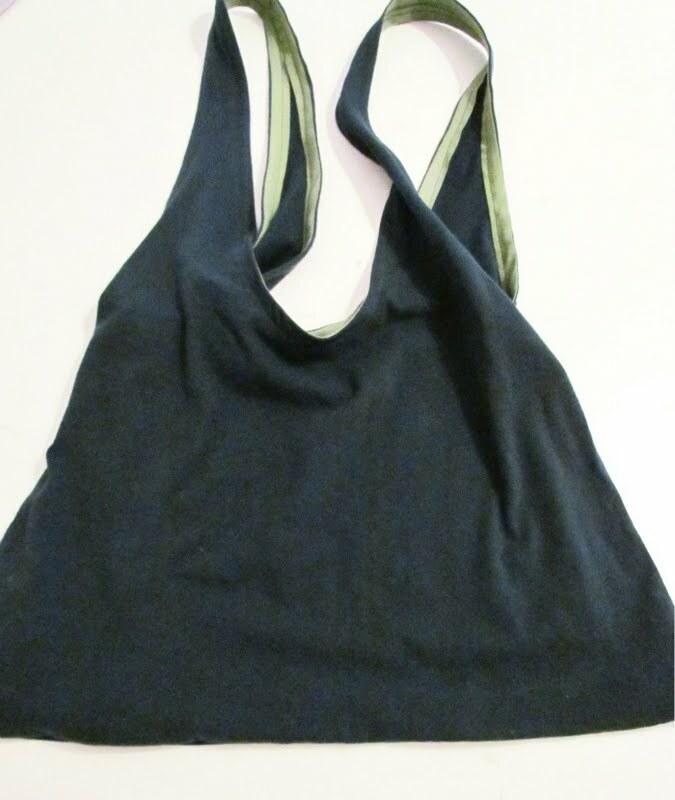 It looks so cute - I bet it's incredibly comfortable on your shoulder too! Love it! cute, cute!!! I love it and I love you used a t-shirt! To me these are the greatest projects and so fulfilling. Very cute!!! I might have to give this a try. As a beginning sewer this doesn't look too difficult. I love the bird you used! 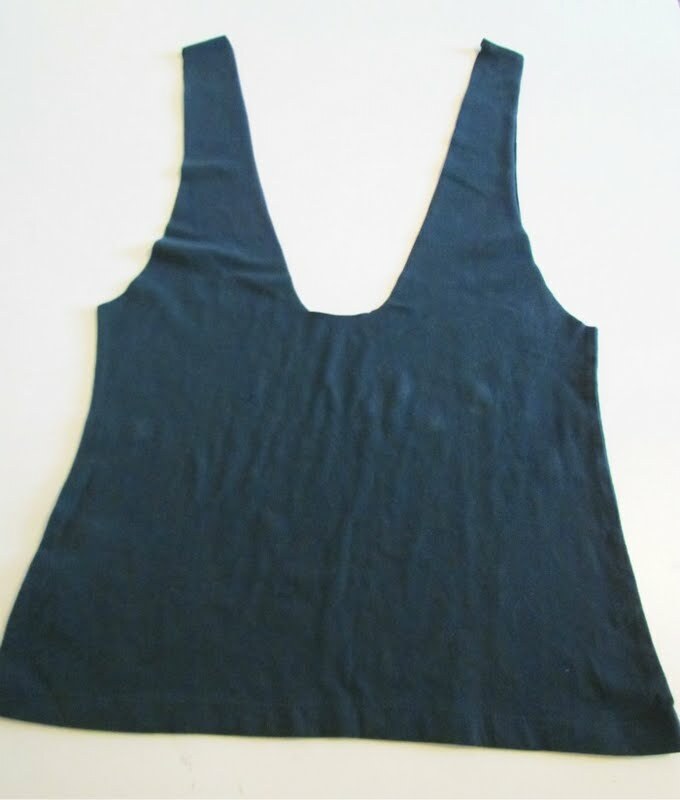 I have that silhouette shape and fabric painted it onto a shirt. Thanks for the inspiration! 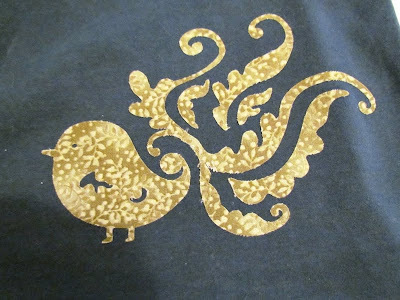 That applique is adorable! Great idea! 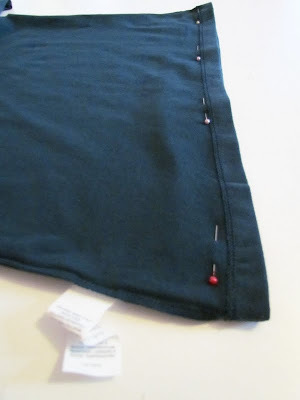 This is such a great idea-doesn't look too hard either. I would love it if you linked this up to my weekly link party Tutorial Tuesday ! This is so cute! I NEED to make some! Thanks for sharing! This is so cool! Stopping by to invite you to link up to Thrifty Thursdays. Blessings! Just wanted to let you know that this will be featured at this weekend's link party. Make sure you come check it out. Thanks so much for sharing! Very cute, I think the embellishment is a nice touch! Fantastic! You've certainly been very creative with your bag. And a very good price!